In our past life as a pre-family couple we loved a good holiday and no expense was spared. We went wherever the mood took us and on one occasion that meant a fabulous 4 week trip to Thailand whereby we spent long sun drenched days on the beach, reading, swimming, listening to Cafe Del Mar on a loop and eating the best cuisine the world has to offer - Thai food really is my favourite. That holiday does go down as one of the best ever - apart from the bit where I totally assumed I was going to get proposed to on a trip to a pier for sunset. I'll never let my OH forget where he actually laughed and said 'what you thought I was going to propose?!' Um, yes actually I did (even though the mood wasn't quite right with the tuk tuk driver lingering right behind us the whole time), but never mind...... Sangsom bucket anyone? We had the time of our lives, visited idyllic islands, met interesting people and planned where we were going as we went along. 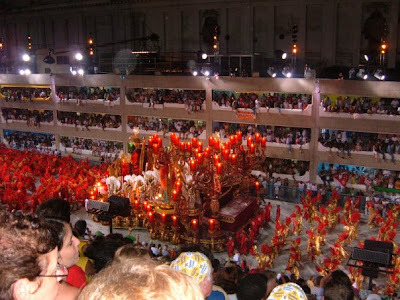 Another of our adventures was to Brazil for Rio Carnival. One word. Amazing. Anything you've ever seen on TV or in magazines just does not compare to the reality of being in the carnival capital of the world. The samba beat really does pulse through your body. The costumes and the floats are awesome and I will never forget the experience as long as I live. Apart from that, Rio has so much more to offer, a visit to Christ the Redeemer is a must and if you're OK with cable cars then Sugar Loaf Mountain as well. But I had another mission for that holiday and it was to drive my OH mad buying every single pair of Havaiana flip flops I could lay my hands on. It was tough going, but I managed to furnish myself with enough flip flops for the following 10 years! These days it's a different story. We have kids and with that it follows that we don't have lots of spare cash. So whenever we're thinking about holidays now we always make sure we look for the best cheap holiday deals, we live to a tight budget so it follows that we're cash conscious about travel. We also don't travel too far as the thought of a flight with the kids any longer than 3-4 hours terrifies me, so we tend to stick to Europe these days. That doesn't make it any less interesting, just getting away from home for a bit and perhaps including a bit of sunshine into the equation is nice. Our family holidays are great and just because we're not drinking our body weight in Caipirinhas' and dancing until the sun comes up it doesn't make them any less fun. What are your holidays like now there are children involved? Any tips for making them a bit more relaxing and how do you find holidays on a budget? I'd love to know! Wow, Thailand looks amazing! Definitely somewhere I'd like to visit. I too would love to go to Thailand. We are just starting to travel more gain now Kitty and Ozzy are getting to school age. My favourite destination ever has been Iceland - just a shame it was so cold and expensive! 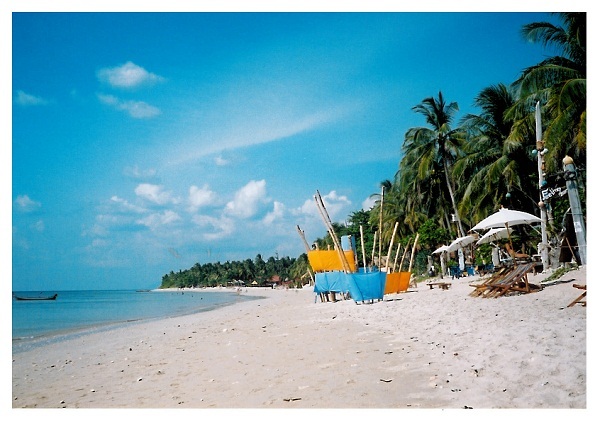 I have such itchy feet to travel right now. We used to do loads before kids and I really want to take off again now. We just need to wait until the kids are a bit older, but we are going to brave a wedding in Denmark later in the year - I'm feeling scared already though and so far I've only applied for a passport for Master C! Oh I am insanely jealous! I never had the opportunity to go travelling before starting a family - Rio has always been on my radar, would love to go there one day! I love to travel different places. Now i am thinking for family holiday lough derg in june last.